American actress, director, and producer Penny Marshall has passed away at the age of 75 after complications from diabetes according to multiple reports. Marshall was born in New York City in 1943. Her mother ran a successful dance school and her father was an industrial film director and producer. Marshal began her career as a tap dancer at the age of three and would later go on to teach at her mother’s school. Upon graduating from high school, Marshall went on to attend the University of New Mexico for two and a half years before she became pregnant with her first daughter. During this time she worked odd jobs before moving to Los Angeles in 1971. Marshall first got her start in acting after her brother invited her to appear in a movie he had written and was producing. This led to her landing a few other small parts in various commercials, films, and television shows. In 1970, her brother Garry became the executive producer of the acclaimed television show “The Odd Couple”. In 1971, Penny Marshall received a permanent role on the show as Oscar’s secretary. She would continue on the show for the next four years. During this time, Marshall began to receive more roles in tv movies and television shows. 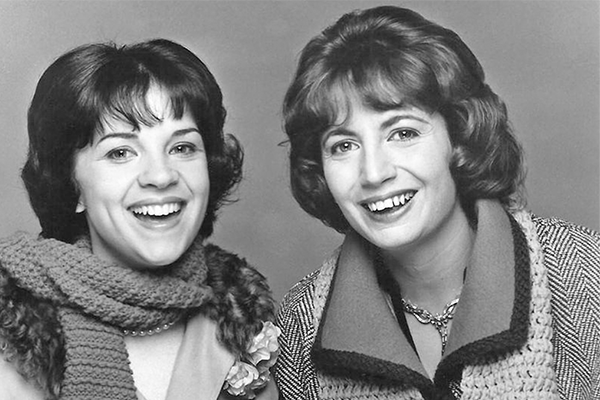 In 1975, the world was introduced to the characters of Laverne and Shirley when they appeared in an episode of “Happy Days”. The studio audience loved the pair and Garry Marshall decided to co-create and cast them in “Laverne & Shirley”. The show would go on to be quite successful and ran for eight seasons from 1976-1983. Marshall first became interested in directing during her time on Laverne & Shirley. At the encouragement of her brother, Marshall pursued this new endeavor wound up directing four episodes of the show as well as several other television programs. In 1986, her directing career moved to feature films with her first film being “Jumpin’ Jack Flash” starring Whoopi Goldberg. Marshall went on to direct several major motion pictures including “Big” (1988) starring Tom Hanks, “Awakenings” (1990), “A League of Their Own” (1992), and “The Preacher’s Wife” (1996). Marshall was married twice in her lifetime. She met her first husband during her time in college and married him in 1963. The couple divorced after three years and had one child together, a daughter named Tracy. In 1971, she married actor/director Rob Reiner. Reiner adopted Marshall’s daughter and the couple shared five grandchildren despite divorcing in 1981. This entry was posted in Celebrity Deaths on December 18th, 2018 by ObitTree .